Police are investigating as “a racist incident” an allegation by a leading lawyers organisation against one of Britain’s biggest selling newspapers. The Society of Black Lawyers has accused The Daily Mail of allegedly “inciting racial and religious hatred” by publishing more than 40 stories that it says unfairly targeted prominent solicitor Sharokh Mireskandari, one of its members. The newspaper claimed the articles were published “in order to raise serious concerns about Mr Mireskandari’s background and qualifications”. It said that, as Mireskandari was “the lawyer representing high profile police officers in race claims against the Metropolitan Police publication of those concerns was clearly in the public interest”. 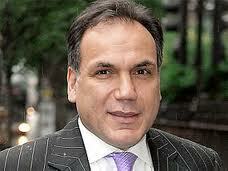 The Daily Mail denied unfairly targeting Mireskandari, an Iranian American Muslim, because of his religion or race. But Mireskandari has denied being convicted of any offence, misdemeanour or felony as, he said, “the strict liability allegation” of which he was accused in America was wiped from his record “by agreement“. 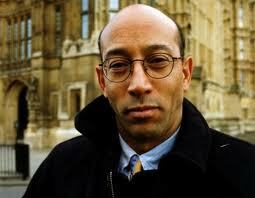 And that he had passed UK examinations that qualified him to work as a solicitor. His libel case against the Daily Mail was thrown out by a UK judge but he is still taking legal action for alleged breach of privacy in California, where he is currently getting medical treatment, over access the newspaper got to his academic records. Even though the last article published about Mireskandari appeared in The Daily Mail in February, most of the stories came out four years ago. The SBL said it recently found that the version of the stories published on The Daily Mail website had attracted ”racist comment” and gave this as an example of their serious impact on the public. The Met Police confirmed it had received the SBL complaint. In a letter to the SBL, seen by The-Latest.Com, Detective Superintendent David Birrell, of the Public Order Investigation Team, said its complaint had been “recorded as a racist incident”. Mireskandari worked in Britain as a lawyer for high profile clients, including the Met’s most senior black and minority ethnic police officer, Assistant Commissioner Tarique Ghaffur in his race discrimination case against the Commissioner Sir Ian Blair. Dean and Dean, Mireskandari’s London firm, closed down after an intervention by the Solicitors Regulation Authority (SRA) in 2008. It has been claimed that hundreds of other black and minority ethnic UK law firms have been unfairly investigated by the legal watchdog and some of them closed down as a result. The shutting of Mireskandari’s practice followed the bad publicity in The Daily Mail and the SBL has alleged that the paper worked in “a conspiracy” with the SRA to achieve this. Both organisations have denied that this is true but the SRA declined to reveal the contents of emails that passed between itself and The Daily Mail. The-Latest.Com plans to send a Freedom of Information request to the SRA to get to see the emails in the public interest. Mireskandari is due to return to the Solicitors Disciplinary Tribunal on May 28 to face disciplinary charges. As a result of this, the SRA said it would be inappropriate to comment. Police are investigating as “a racist incident” an allegation by a leading lawyers' organisation against one of Britain’s biggest selling newspapers. The Society of Black Lawyers has accused The Daily Mail of allegedly “inciting racial and religious hatred” by publishing more than 40 stories that it says unfairly targeted prominent solicitor Sharokh Mireskandari, one of its members, and Britain's leading Asian politician MP Keith Vaz. The newspaper claimed the articles were published “in order to raise serious concerns about Mr Mireskandari’s background and qualifications”. It said that, as Mireskandari was “the lawyer representing high profile police officers in race claims against the Metropolitan Police publication of those concerns was clearly in the public interest”. The Daily Mail denied unfairly targeting Mireskandari, an Iranian American Muslim, or his close associate Vaz because of their religion or race. But Mireskandari has denied being convicted of any offence, misdemeanour or felony as, he said, “the strict liability allegation” of which he was accused in America was wiped from his record “by agreement“. And that he had passed UK examinations that qualified him to work as a solicitor. His libel case against The Daily Mail was thrown out by a UK judge but he is still taking legal action for alleged breach of privacy in California, where he is currently getting medical treatment for a serious illness, over access the newspaper got to his academic records. Even though the last article published about Mireskandari appeared in The Daily Mail in February, most of the stories came out four years ago. 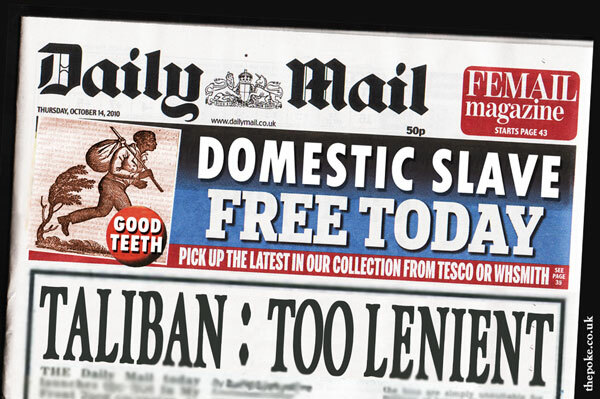 The SBL said it recently found that the version of the stories published on The Daily Mail website had attracted lots of ”racist comment” and gave this as an example of their serious impact on the public. The Met Police confirmed it had received the SBL complaint. In a letter to the SBL, seen by The-Latest.Com, Detective Superintendent David Birrell, of the Public Order Investigation Team, said its complaint had been “recorded as a racist incident”. Mireskandari worked in Britain as a lawyer for high profile clients, including the Met’s most senior Black and minority ethnic police officer, Assistant Commissioner Tarique Ghaffur in his race discrimination case against the Commissioner Sir Ian Blair. Dean and Dean, Mireskandari’s London firm, closed down after an intervention by the Solicitors Regulation Authority (SRA) in 2008. Britain's black weekly The Voice has reported that hundreds of other black and minority ethnic UK law firms have been unfairly investigated by the legal watchdog and some of them also shut as a result. The closing down of Mireskandari’s practice followed the bad publicity in The Daily Mail and the SBL has alleged that the paper worked in “a conspiracy” with the SRA to achieve this. Both organisations have denied that this is true but the SRA declined to reveal the contents of emails that passed between itself and The Daily Mail. Mireskandari was due to return to the Solicitors Disciplinary Tribunal to face disciplinary charges. As a result of this, the SRA said it would be inappropriate to comment. 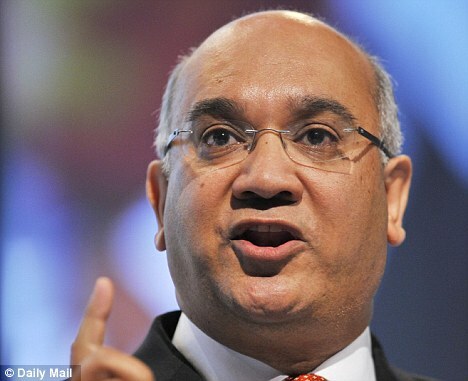 The Daily Mail campaigned for Vaz to lose his post as chair of the influential House of Commons Home Affairs Select Committee because of his friendship with Mireskandari. Vaz was re-elected as Chair.